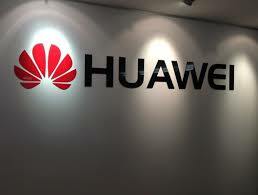 Huawei announced the release of its 400G line card in South Africa. Huawei’s NE5000E core router is the only 400G core router for commercial use in the industry. It features a 400G platform which supports flexible capacity configurations by changing sub-boards to implement networking among 100GE, 40GE, and 10GE. The slot capacity can be expanded to the T level to meet carrier’s service requirements for the next 5 to 10 years. Power consumption is also low on the 400G platform, keeping within 1 W/G. Further, the NE5000E recently passed the test conducted by European Advanced Networking Test Center (EANTC), making it the first router to pass the full-loading 400G 6.4T test. Existing IP core networks are struggling to meet rapid development and heavy data consuming services. Backbone networks now have to handle the tremendous traffic growth resulting from the uptake of broadband and video services. Therefore, existing network architectures need to be upgraded and Huawei is moving to meet the carriers’ network reconstruction requirements. According to Ovum data, Huawei was leading the growth in the global IP market in Q1 of 2013. As a leader in global IP technologies, Huawei carrier IP products and solutions are serving China Telecom, China Mobile, China Unicom and other world-wide leading carriers such as Telefonica, SingTel, Mobily in Saudi Arabia and MegaFon in Russia. Next articleMan buys clay iPad from store, seriously!